The Exilis Elite has FDA approval in the USA, which means that it has been proven to be safe and to deliver real results in research studies. It is one of the most effective non-invasive aesthetic devices on the market today, and results are long lasting. Give your Exilis Elite Treatment a Boost! Ask for HydraTite when booking your appointment. All these treatments can be upgraded to our HydraTite treatment. This combines the HydraFacial with Exilis to give improved results. The normal price for a single HydraFacial is £110, however you can add these into your Exilis package at a specially discounted price. Contact us for prices, as cost will vary depending on your course and treatment. 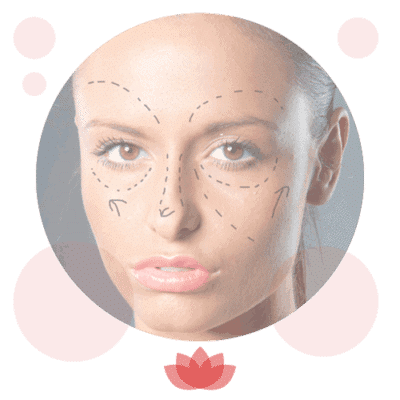 The Exilis Elite is a revolutionary treatment device which produces a non-surgical facelift by tightening the skin and reducing lines and wrinkles. It is particularly effective around the eyes, on the upper and lower eyelids, and on loose skin on the neck. It is also a non-invasive, non-surgical solution for fat reduction and body sculpting. 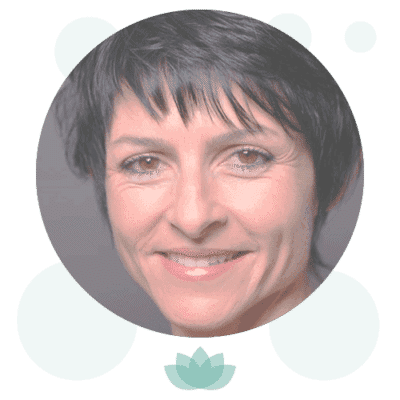 Which areas do we treat with the Exilis? 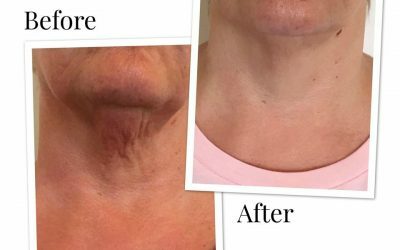 The Exilis Elite can be used to treat any area on the body and face, with the most frequent facial areas for women being the upper and lower eyelids, jowls and neck. The most popular areas for body treatments for women are the stomach, hips, thighs and upper arms. 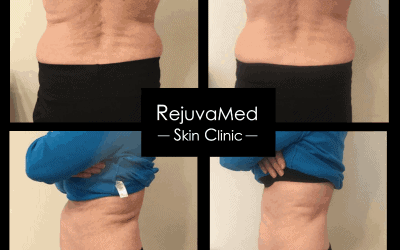 The most common treatment areas for men include the abdomen, chest, jowls and “love handles”, but with a treatment range including décolletage, “bra fat”, buttocks and knees it’s easy to see why the Exilis is a favoured choice for many. Before treatment you will have a free consultation with one of our highly trained team to ensure that the Exilis is entirely suitable for you. 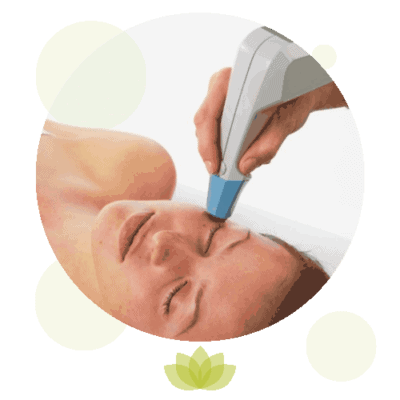 Used on the face, the Exilis uses radiofrequency energy to remodel collagen under the surface of the skin. 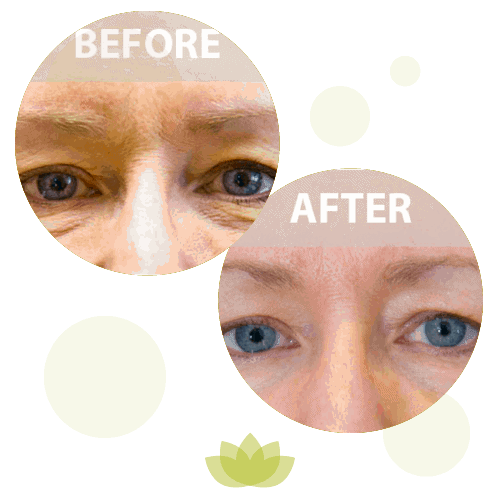 This tightens the skin above, smoothes out fine lines and wrinkles and reduces loose skin, particularly around the eyes and jowl area. On the body the Exilis uses an advanced combination of both radiofrequency and ultrasound technologies, which shrink the fat cells up to 4cm below the surface of the skin. It also stimulates the collagen network which in turn improves the texture and laxity of the skin. 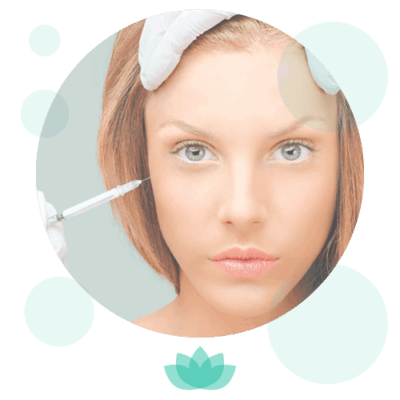 Prior to the procedure a gel or oil will be applied to the treatment area, and your aesthetician will then demonstrate the movement pattern on your skin with the probe, before proceeding with treatment once you are comfortable. The probe is then passed over the area in a series of repeated movements, and you will begin to feel warmth on your skin. Your aesthetician will monitor the temperature of your skin using a digital thermometer which is built in to the device. This provides them with accurate and real-time monitoring to enable them to maintain an effective temperature, whilst also ensuring that the treatment is both comfortable and safe for you. 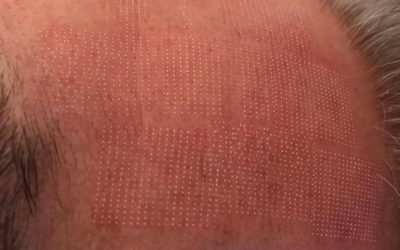 After treatment you may still feel some warmth from the treated area and may also notice mild redness in the skin. This is perfectly natural and usually disappears within a few hours post treatment. Normal activities and daily routine may be resumed immediately after treatment.